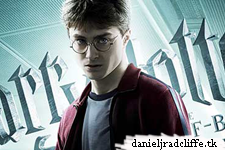 Home » Harry Potter , News (via) DJR Holland » Twilight vs. Harry Potter, about books and movies.. Twilight vs. Harry Potter, about books and movies.. Twilight Versus Harry Potter, both are having a huge fanbase and are really popular, both are fantasy movies..but which one seems to be more succesfull then the other? Money.co.uk did find out. (besides already knowing that both movies franchises did make a lot of money) They checked the success of the author, the stars, the books and more. Thanks to them for e-mailing.